Courses and modules are subject to change. Students are expected to supply their own materials. Formation of classes depends on sufficient demand. QQI Certification Fees of €20 per component award (where applicable) are not included in course fee and need to be paid on week 3 of each specific QQI course through the main office in Mallow College. The times/duration of courses may vary at Director’s discretion. Courses will run through day-school mid-term breaks unless otherwise stated. If a class is not formed fees will be returned without demand or transferred to another course by request. Where a class is formed, fees will be strictly non-refundable. It is the responsibility of the participant to inform themselves of the course content, course duration, etc. The Director reserves the right to refuse or terminate participation in a class. Cars parked on college grounds at owner’s risk. Information provided about a course is intended as a guide only and the Director reserves the right to alter classes as appropriate. All cheques must be made payable to “Cork ETB”. The contents of the prospectus are for information purposes; changes may be made to syllabi or fees at any time. All fees must be paid for before classes commence. Students cannot attend a class without an official receipt. The Cork ETB Learner Handbook is available at http://cork.etb.ie/wp-content/uploads/sites/20/2017/09/CETB-Assessment-Handbook-for-Learners-Levels-4-to-6.pdf. A full refund will be given to all applicants for courses, which do not proceed. Students who attend one night of a course are not entitled to a refund, unless they are very exceptional circumstances. Certificates of Attendance will be provided on request to learners where a learner has at least 70% attendance on the programme. Every effort has been made to ensure that the information herein is accurate. This prospectus does not infer or impose any legal obligation on the management of Mallow College of Further Education to provide courses or other services to students. Course syllabi, fees, timetables, examination timetables, regulations or any other information given may be altered, cancelled or otherwise amended at any time. 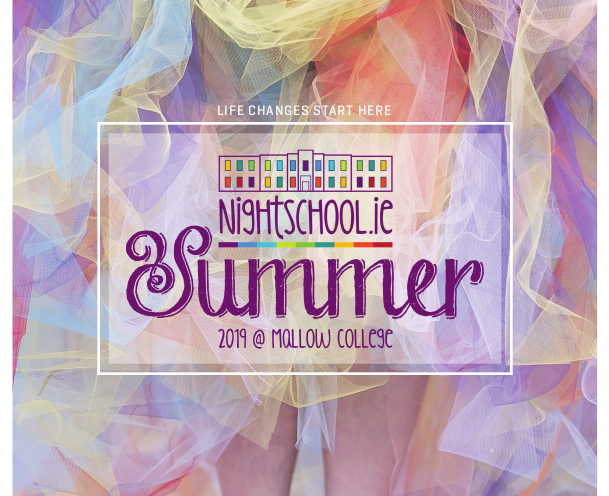 This prospectus does not confer any rights on a student registered in the Mallow College of Further Education for any course of study. The college reserves the right to cancel or restructure any course. Classes are offered subject to sufficient demand.